Victor made Jacksonville his home over 10 years ago. We celebrated the 10 year anniversary with a plaque of appreciation for Master Huber. Here’s to the next 10 years! We are very pleased to host Rolker Gracie again for a 3 hour seminar on Friday, April 15th from 6pm-9pm. Rolker, son of Helio Gracie and head of Gracie Humaita in Rio de Janeiro will show an array of takedowns, self-defense and ground techniques. The seminar will be $85 and is open to only Victor Huber BJJ students and family/friends. 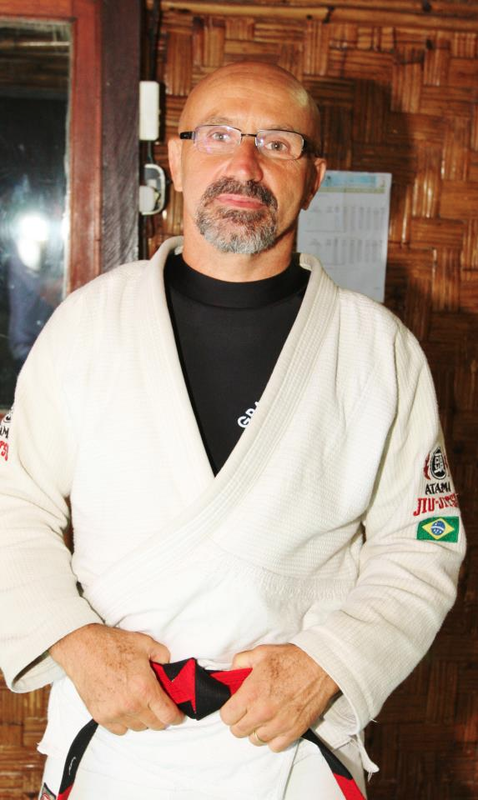 Grandmaster Manoel will teach a seminar on Saturday October 24th from 11am-2pm at the Atlantic Beach main location (45-A Donner Road, Atlantic Beach). 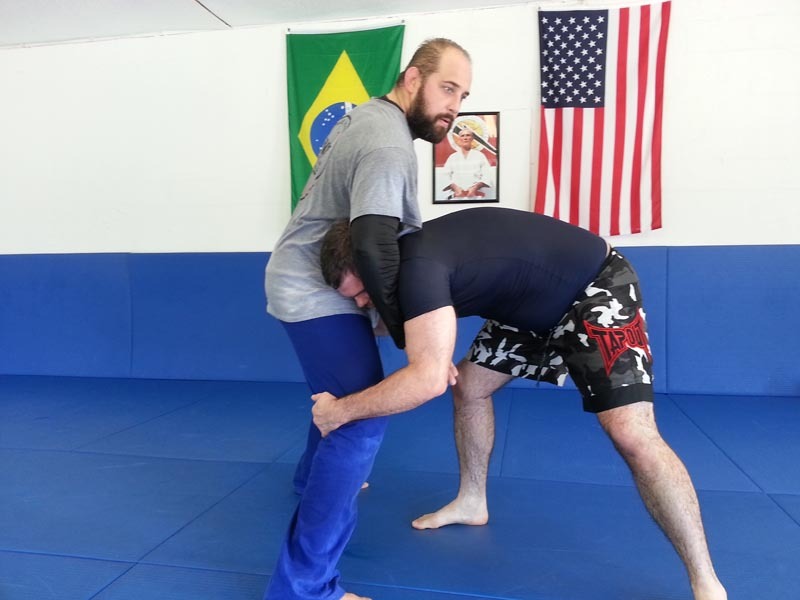 Manoel is a coral belt and the head instructor at Gracie Humaita Ilha in Rio. 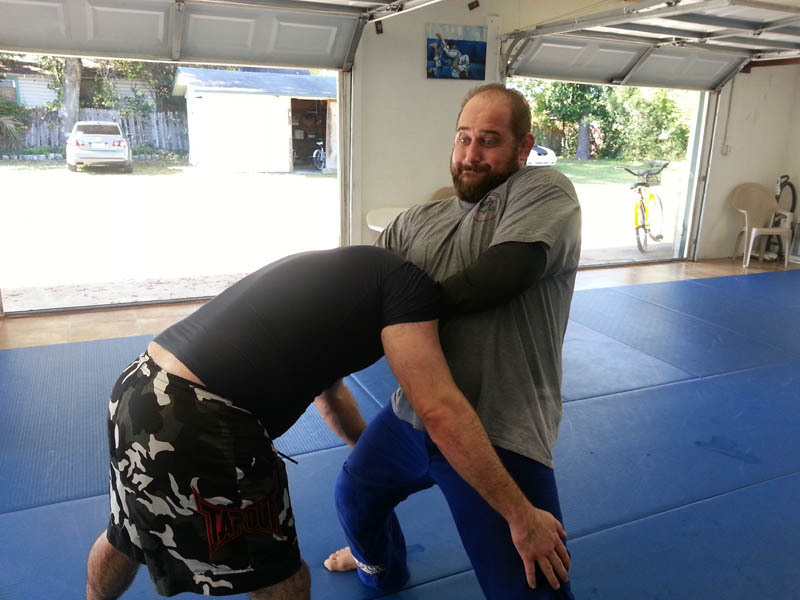 The 3 hour seminar will include lots of self-defense, takedowns and plenty of ground work. Contact Victor to see if there are still opening available. 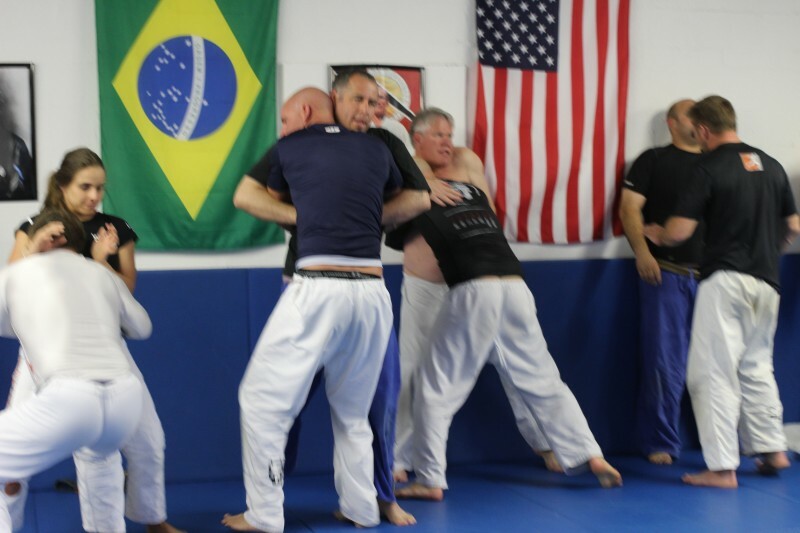 Victor and everyone at Victor Huber BJJ was delighted to have Master Rolker Gracie in Atlantic Beach for a 3 hour seminar covering everything from self-defense to MMA to sport jiu-jitsu. Rolker working with Stephen and Jeff on guillotine technique. Matt in the black shirt attempts a double leg takedown. Victor defends with a sprawl and a head and arm grip. Victor twists back and to his left to make space for his left arm to swing back in front of Matt’s shoulder. Victor secures his guillotine grip. 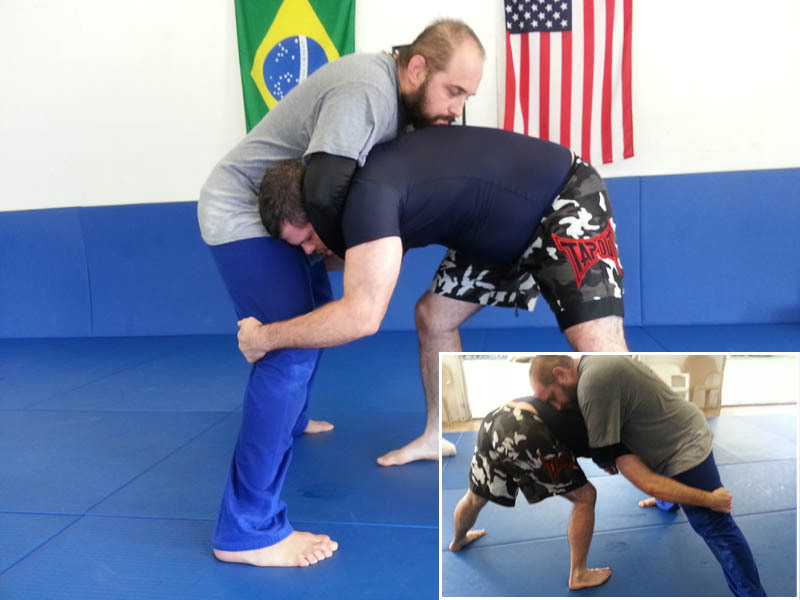 Victor brings his hips forward as he lifts Matt’s head, effectively hanging him by his own body weight. 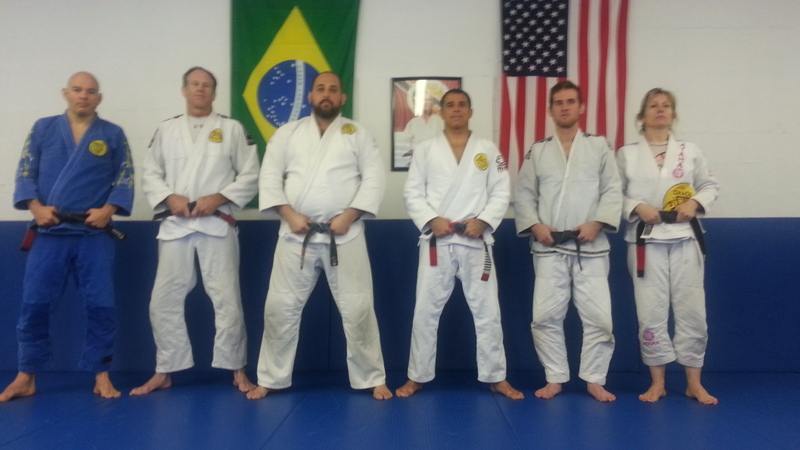 We were proud to host grappling legend Royler Gracie at Victor Huber BJJ for a three hour seminar. 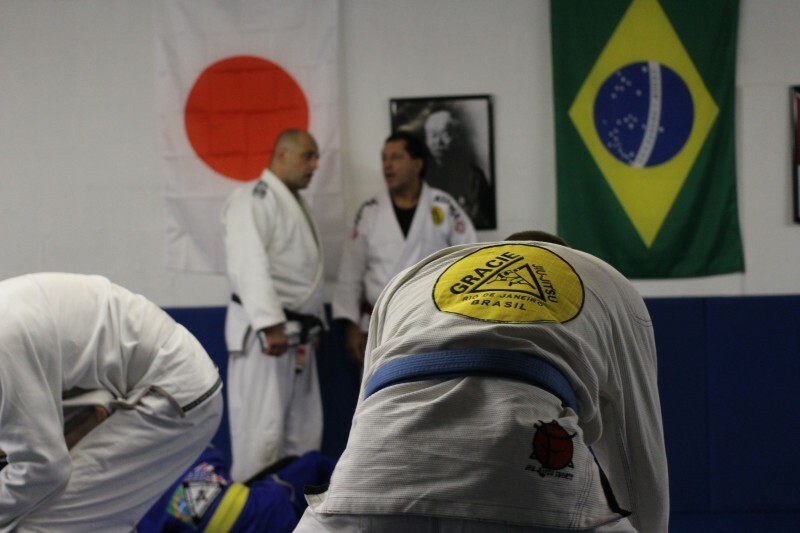 Royler showcased true Gracie Jiu-Jitsu to a packed academy on Saturday February 16th. 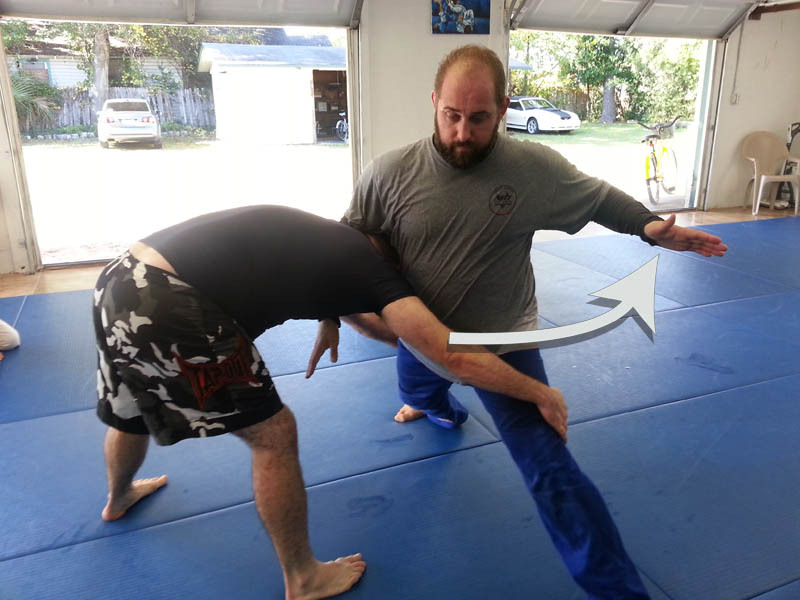 Royler is a gifted teacher and instructed the academy on self-defense, takedowns and ground techniques. He then opened himself up to questions that ranged from specific positional questions to diet and training philosophies. Thanks to everyone who created such a great turnout for Grandmaster Manoel’s seminar on June 30th. Manoel, a Helio Gracie coral belt and longtime mentor for Victor, showed lots of self-defense techniques and some great moves for sport jiu-jitsu. We look forward to seeing much more of Grandmaster Manoel in the future. The team traveled to Rio de Janeiro to compete in the World Masters/Seniors Championships, one of the most competitive tournaments in the world. The team proudly brought home two silvers and 4 bronzes. Congratulations to everyone who made this happen! Without our training partners there to push us, none of this would have been possible. We look forward to returning next year and doing even better. Stay tuned for a photo gallery from our trip.